Yesterday, the annual Estonian pop music awards ceremony Kuldne Plaat/Golden Disc took place at the Kadriorg Palace in Tallinn. 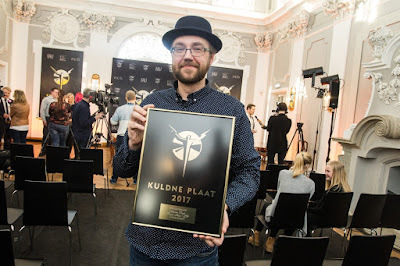 One of the awards was presented by Vinyl Plant and went to the Andres Roots LP "Roots Music" as "Blues Album of the Year"! Here are photo galleries of the event: Postimees (includes full-length video coverage, featuring a live performance of "Meow Meow"), Õhtuleht, ERR, Delfi, and Kuldne Plaat.